APS Events & Advertisers Pvt Ltd. 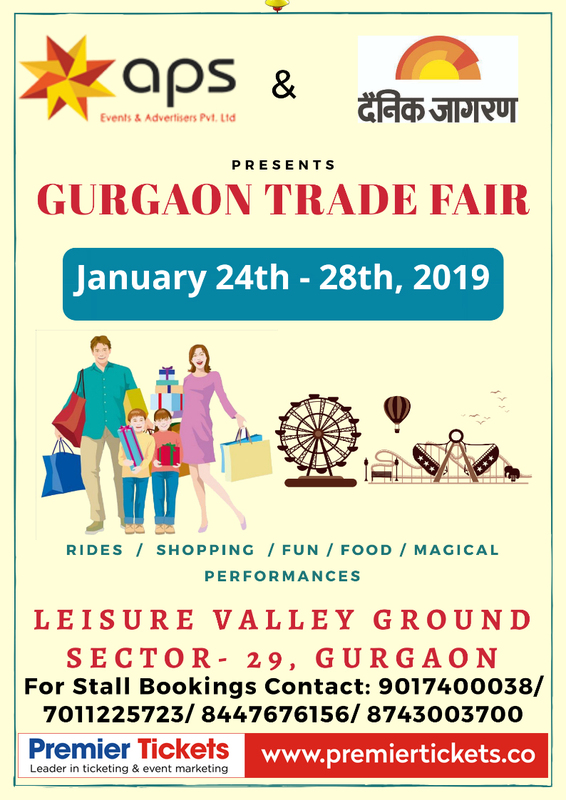 In association with Dainik Jagran Presents “Gurgaon Trade Fair” !! Premier Tickets is an online event marketing and ticketing agency. Premier Tickets will NOT be responsible for any changes related to the event schedule, artist, venue or cancellation and refunds related to the tickets for Gurgaon Trade Fair. 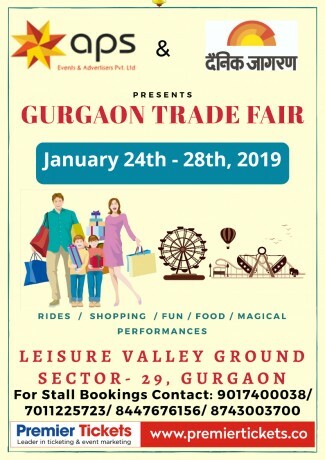 Premier Tickets is proud to be the online ticketing partner for Gurgaon Trade Fair.